We owe our mums so much, and they deserve amazing gifts regardless of the occasion. Here are 5 of our best gift ideas for mum so you can let her know how much she means to you. Not so good with words? You don’t have to be because this Mum framed print says it all for you. 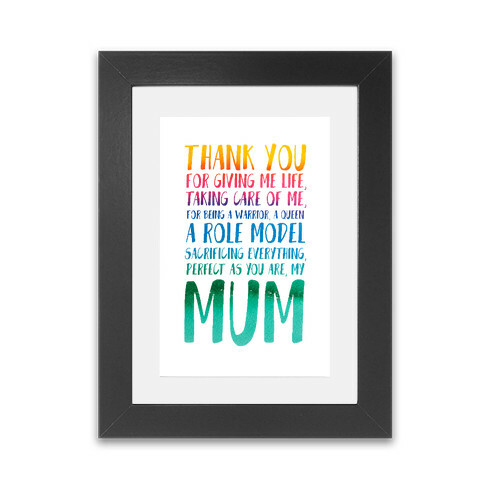 Show your mum how special she is by giving her this heartfelt message she can display on her wall. Priced at £18.89, this high quality print is a lovely present that doesn’t cost a fortune. 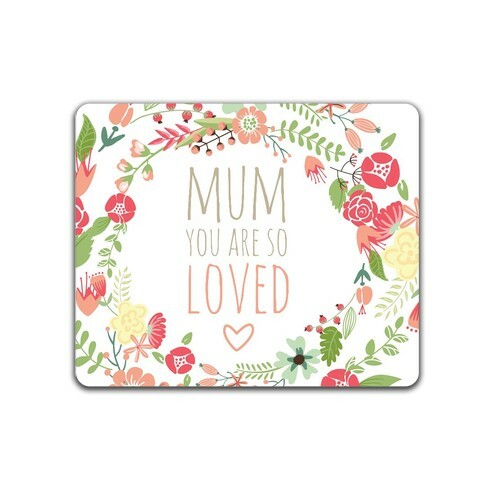 Treat your mum to a gift that will give her a daily reminder of how important she is to you. This So Loved placemat is a thoughtful present that’s sure to make her smile. Our funky art placemats are £10.34 and they’re perfect for any occasion. 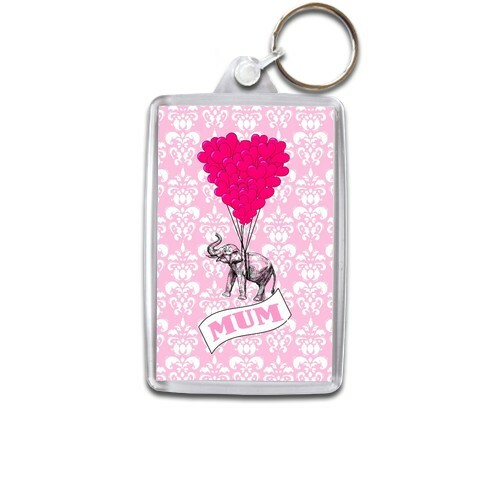 This Love Mum Heart keyring is a cute gift that makes a nice little stocking filler. It’s just £3.59, so why not combine this with another gift on the list? Another small yet meaningful present is this Button Heart I Love You greeting card. Thank your mum for all the things she’s done for you over the years with a beautiful card printed especially for her. You’ll be pleased to know our greeting cards are just £2.69. A piece of striking wall art is a gift that definitely won’t be forgotten. 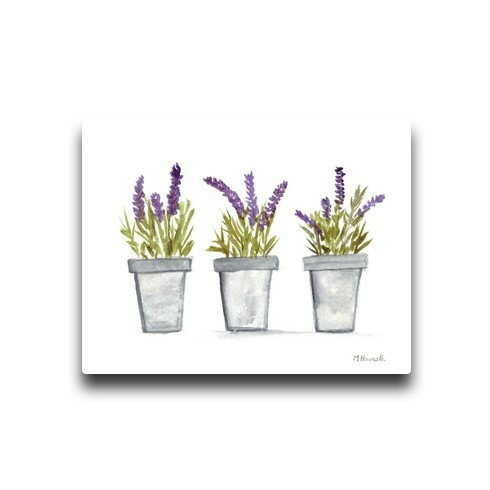 This Lavender Flowers in Pot canvas is a present that will last for many years to come and is guaranteed to brighten up your mum’s day. Our next day delivery canvases start at £26.09, offering fantastic value for money. These are only 5 of our best gift ideas for mum. For more inspiration, see our other gifts for mum. The first one: Mum Framed Print is really sweet 🙂 Thanks for the list!